TORONTO — With Nazem Kadri and the apparent voluntary forfeiture of depth through the middle dominating the discourse leading into Game 3, the focus was directed primarily to William Nylander’s transition to third-line centre and the heightened pressure that now faced the Toronto Maple Leafs’ top two units. 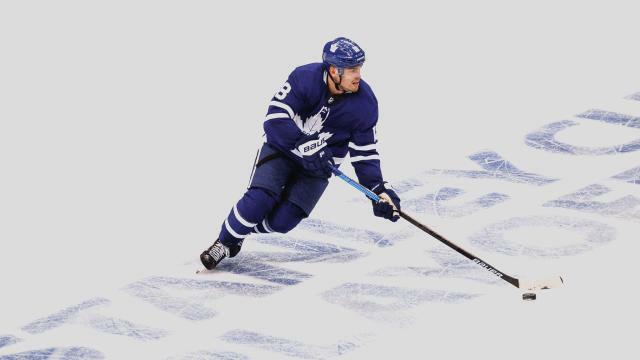 But it was opportunity separate from Nylander’s — one that went largely unnoticed by onlookers and certainly by the opposition — that had far more influence on the outcome Monday night at Scotiabank Arena. Andreas Johnsson arrived in Game 3 of the Maple Leafs’ first-round series with the Boston Bruins, delivering two decisive decisions from the other vacancy opened up by Kadri’s foolish decision to drive the shaft of his stick through the face of Jake DeBrusk in the trivial final minutes of Game 2. Johnsson’s goal and assist from the bumper role on the Leafs’ No. 1 power play proved to be the difference in Toronto, as the Maple Leafs leaned on special teams to recoup momentum — and the series lead — with a 3-2 victory on home ice. From opposing edges of the slot, Johnsson’s meaningful moments came exactly seven minutes apart in a second — a frame that hosted all the scoring in Game 3. But there were different skills, each specific to the central role on the power play, showcased with each point he secured. First he fulfilled the safety valve and puck distribution function by presenting his stick to Mitch Marner after the winger knocked down and gained control of a loose clearing attempt. Without hesitation, Johnsson moved the puck across to Auston Matthews, who buried on the advantageous angle. The pass gave Matthews a chance to, as he describes it, feel the earth shake underneath him when he scores a postseason goal on home ice. Then Johnsson executed from the trigger position. It was Matthews who moved the puck down the wall to John Tavares, who immediately dragged the puck through his legs and into the space Johnsson carved out at the side of the post. This time Johnsson changed the angle for himself, shifting the backhand before floating the eventual game-winner into the top corner behind Tuukka Rask. If Mike Babcock had decided to award the opportunity by merit, it likely wouldn’t have been Johnsson stepping in Kadri’s pivot role on the power play he helped unlock after an 0-for-4 start. The coach explained in post-game press conference that the detail in Johnsson’s approach was lost through Games 1 and 2 in Boston, and that his play had suffered for it. But Johnsson had to be the selection. Partly for his ranking, but mostly for his ability to do one thing he severely understated when asked about the role he plays on the Leafs man advantage.